4.0 out of 5 starsInteresting read that I enjoyed. So this was an interesting read that I enjoyed. The title here really caught my attention and I thought it really stood out from the rest of the book names in this particular genre: very original and unique I would have picked it up to investigate further just based on the name alone. This is a romantic suspense mainly told in dual POV: I say mainly as there is some slight input here from the baddie himself which did give some further clarification into what is actually occurring on both sides of the fence here. So basic premise Griffen while licking his wounds and anticipating a fresh start in a quiet, nothing happens town manages to almost run a mystery girl over on his way back from the shops. She's covered in blood from head to toe and when Griffen mentions contacting the police for assistance she is spooked and runs into the nearby woods, he gives chase to assist her (he's a trained paramedic) and she falls and bangs her head on a rock. Because of a gut feeling and her apparent fear of the law Griff decides to ring his buddy whos a doctor at the local hospital instead: but when The mystery girl awakens she can't remember anything, not even her own name. So the two mains here Griffen and Clare well as much as I enjoyed this I would have had a deeper overall connection if Griffen wasn't such a douche to Clare (Griff's name for her). I did struggle to like him mainly because of his unreasonable attitude to Clare. It's hardly her fault what his ex did to him but she seems to be paying the price for it regardless of that particular fact. I do understand his lack of trust in woman, though I do think it's a tad unreasonable to blame a whole the female-race for the actions of one bad apple. I also didn't like the fact that he seemed to be blaming her for his own physical attraction like it was her fault, that well wound me up. The final thing for old Griff was his constant blowing hot and cold with Clare: I found this extremely tiresome indeed. What I did applaud was the fact that he wasn't a player and didn't sleep around as this seems to be the common norm in books recently, I enjoyed that he was a tad more choosy with his intimate encounters: it really made a welcome change. So Clare herself I adored she was feisty, self-sufficient and a really likeable individual. She even managed to forgive Griffen's unnecessary bluster and hot air. You found yourself rooting for her just because you wanted her to catch a break. So the Mystery surrounding everything here was my favourite part of the story. I also liked how this was set up further for Tia's (a girl Clare met during her ordeal) future story to be told and that should definitely be an intriguing but heartbreaking one. One final thought here I did think the finale we are given was slightly anti-climatic. I just was expected much more than that and was slightly disappointed with how events played out. I really felt there was no proper closure other than the standard and I would have liked to explore the why and whatnots more in-depth. So on reflection, this was mostly an enjoyable read: I did have a few slight niggles but I still found myself invested overall and needing to know the outcome here. This was also really well written and as I said with that particular title how could you not give this a chance. This gets a thumbs up from my camp. 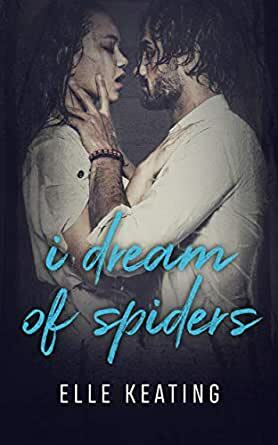 I voluntary reviewed a copy of "I dream of Spiders".